The house of government is broken, and it needs a serious makeover from top to bottom. Management expert Ken Miller discusses how the processes of government became so complicated and inefficient – and how to start cleaning up the mess. With his typical irreverent and funny tone, Ken lays out the simple ways that public-sector leaders can tear down all the twisted, broken parts of government and rebuild it stronger, leaner, and better equipped to help citizens. 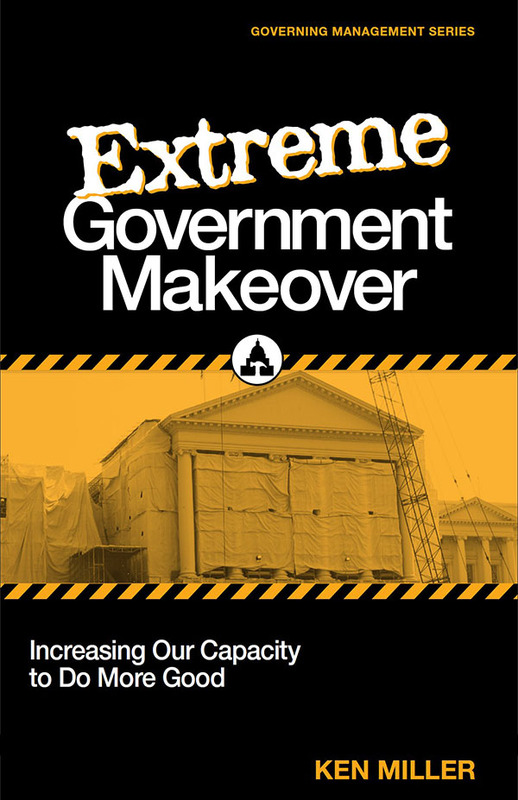 Full of clear, concise tips on increasing government’s capacity, Extreme Government Makeover is essential reading for everyone in government, from top-level executives to managers and employees on the front lines. Written for management at every level of government, Ken Miller’s book explodes the myths that prevent dramatic improvement in government operations. If you’re interested in a new way of thinking about what you do, who you do it for, and why you do it, this book is for you. Read it and manage with the best! When Denver Mayor Michael Hancock took office in 2011, he inherited an $80 million budget shortfall and a government workforce that had been through multiple rounds of cuts and furloughs. Morale was low. He needed a way to drive greater efficiencies, cost savings and improved performance—and he had to do it in-house, on a shoe-string budget. Enter Peak Academy, the coaching and innovation program Mayor Hancock created to teach frontline city employees how to tackle small problems and deliver big results. In four years, Peak Academy trained 5,000 government staff in the fundamentals of lean manufacturing and other process management techniques. More than 2,000 employee-driven innovations later, the program had saved Denver an estimated $15 million. 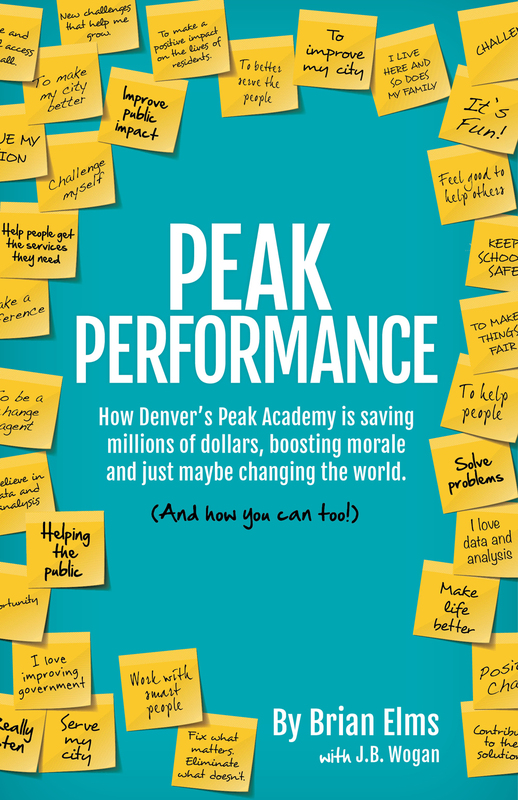 Word got out and dozens of other governments sent their staffs to Denver or hired Peak Academy to bring the training to them.